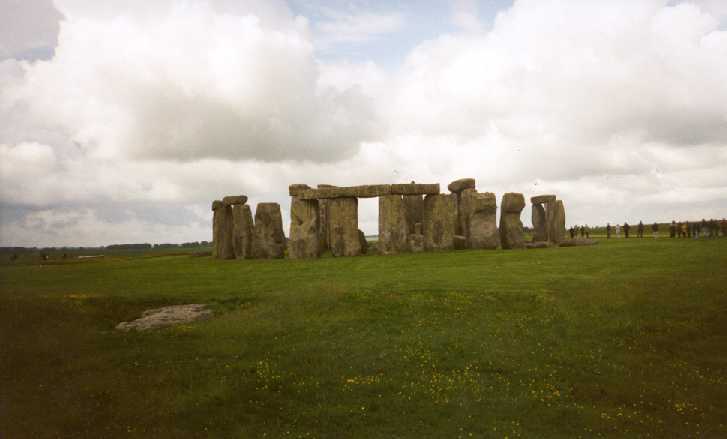 Stonehenge was built over several hundred, perhaps thousand years beginning in about 3000 BC. It was built with stone that would have to have been hauled overland for thousands of miles. It is thought that it was probably a holy place or temple of some sort. 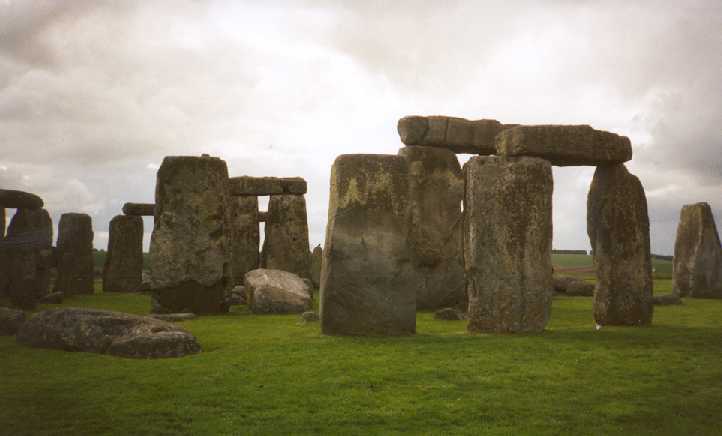 The real attractiveness in Stonehenge is the fact that 1) no one is sure what it was for and 2) no one can understand how people who had just recently made fire could make something like this. This is a closeup view of Stonehenge. It is believed that they used long wooden poles as levers to stand up the rocks and hundreds of people to raise the other stones up on top. 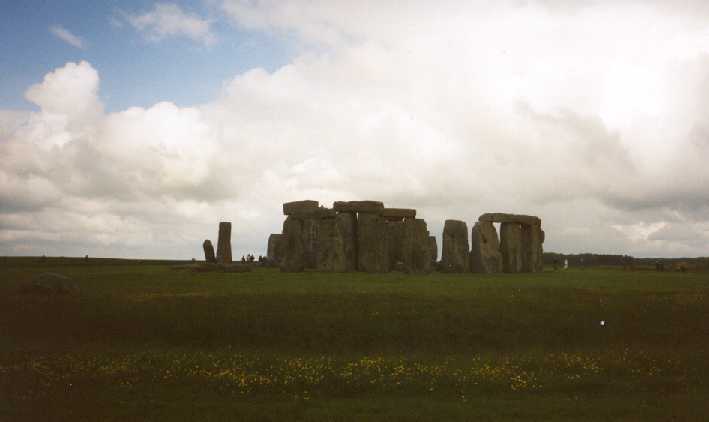 A pulled back view of Stonehenge. Stonehenge is more than just the rocks standing up in the middle. All around the site there are other stones and mounds that may have been a part of the original structure. Also, all around the outside of the site are ancient burial mounds. It is thought that these mounds must be the resting place of important people - how else would they rate a burial so close to the holy place.